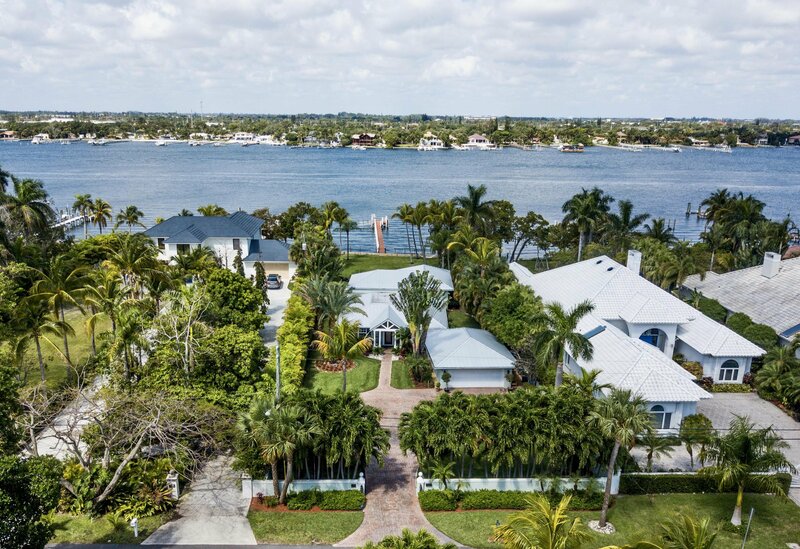 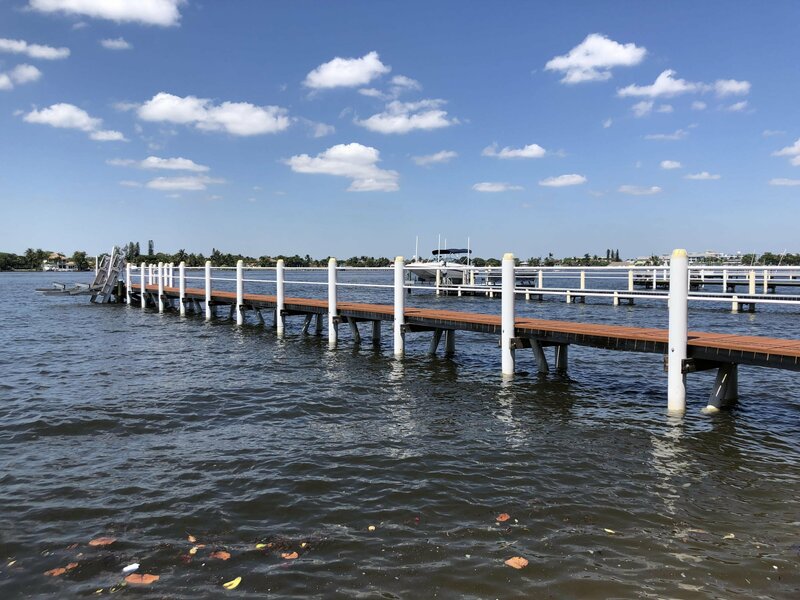 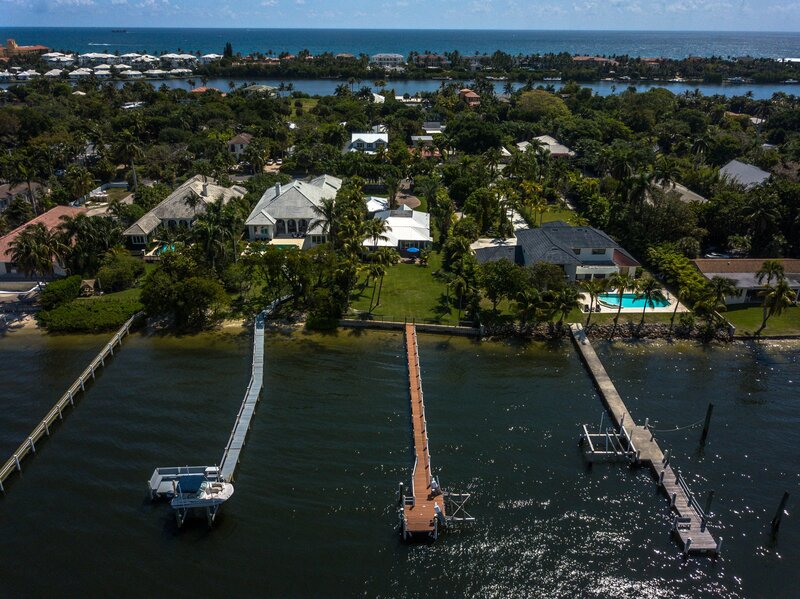 Direct Intracoastal on 1/2 Acre on Hypoluxo IslandThis slice of island paradise with 75 ft of water frontage offers amazing, wide West views of the Intracoastal waterway, deep-water dockage with water/electric services, a 12,000 lb boat lift and easy Ocean access. 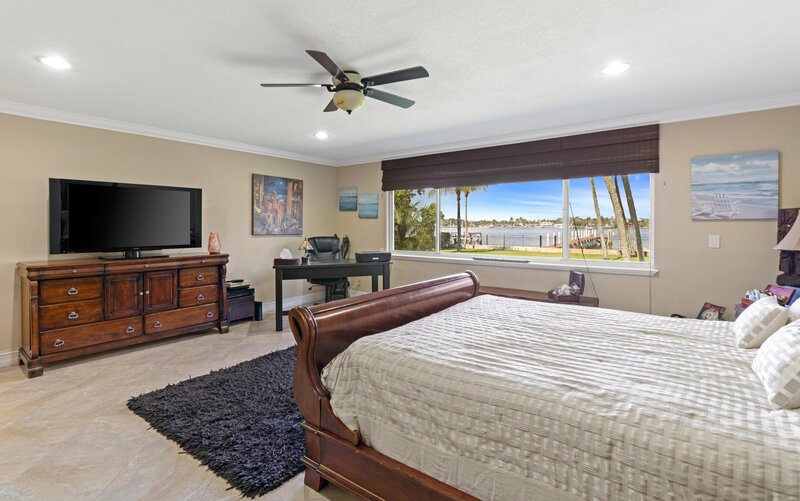 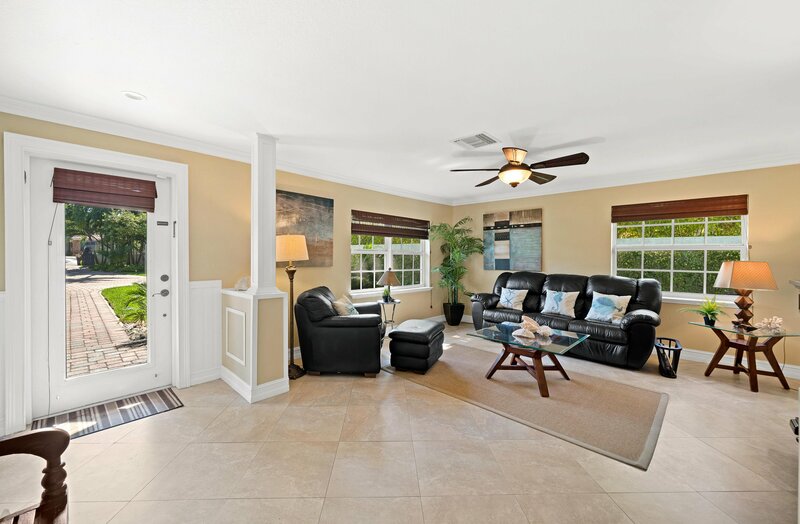 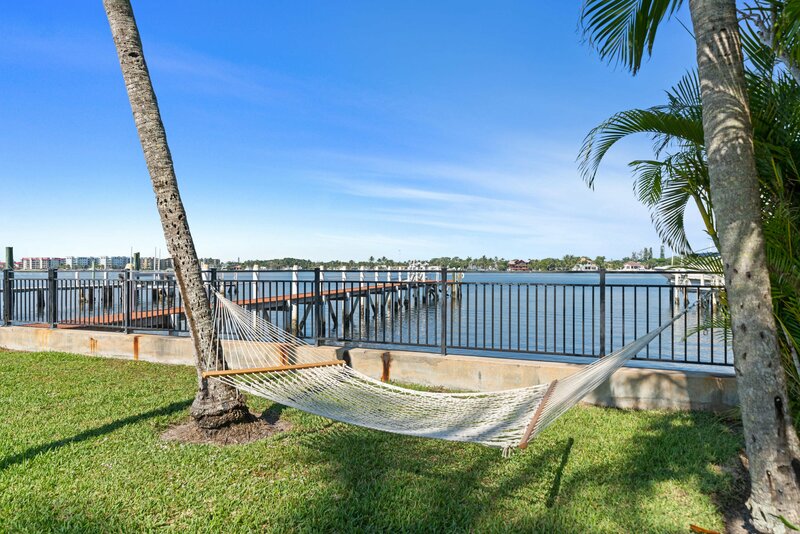 Enjoy daily sunsets and watch the boats go by from your Living Room, Master Suite and outdoor patio areas. 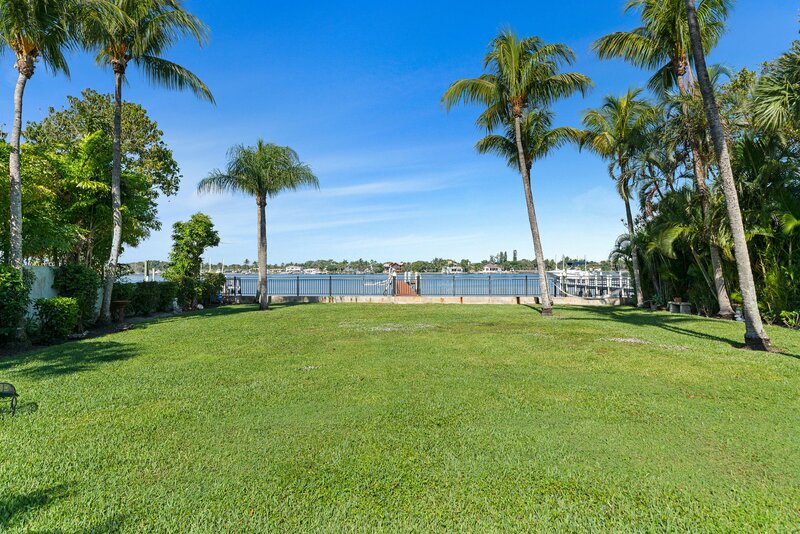 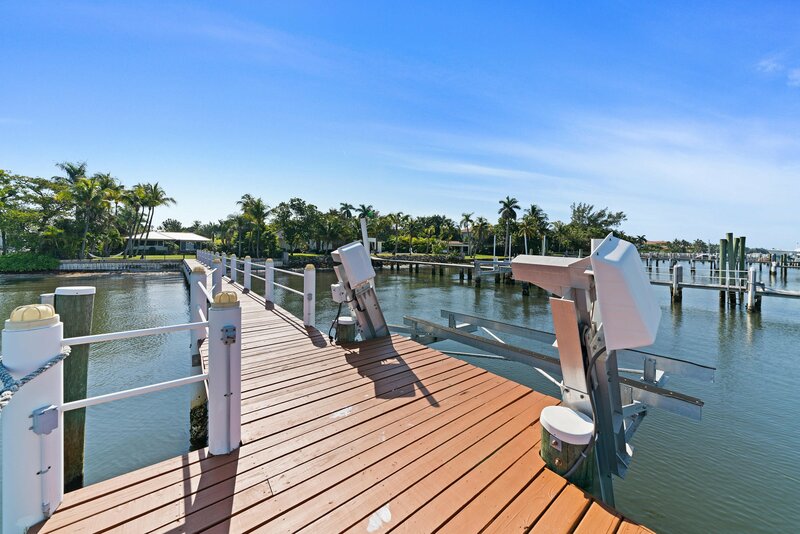 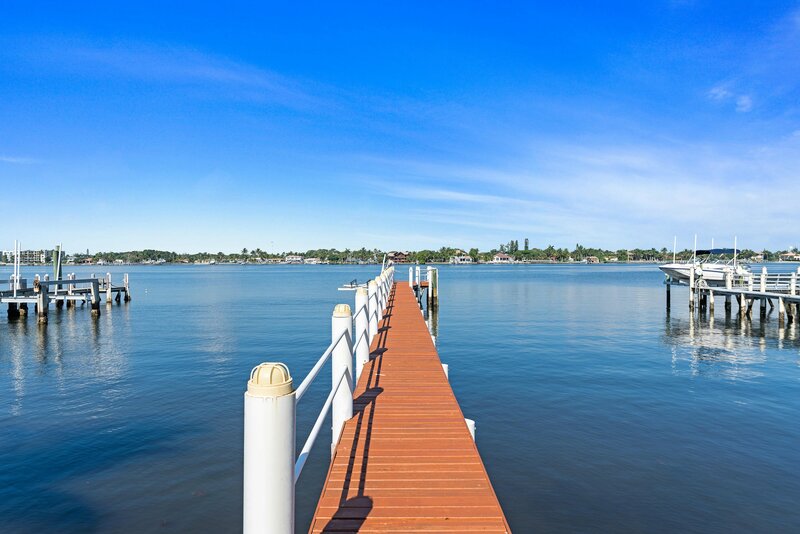 A huge, fenced yard leads to your private dock with 4 ft at low tide. 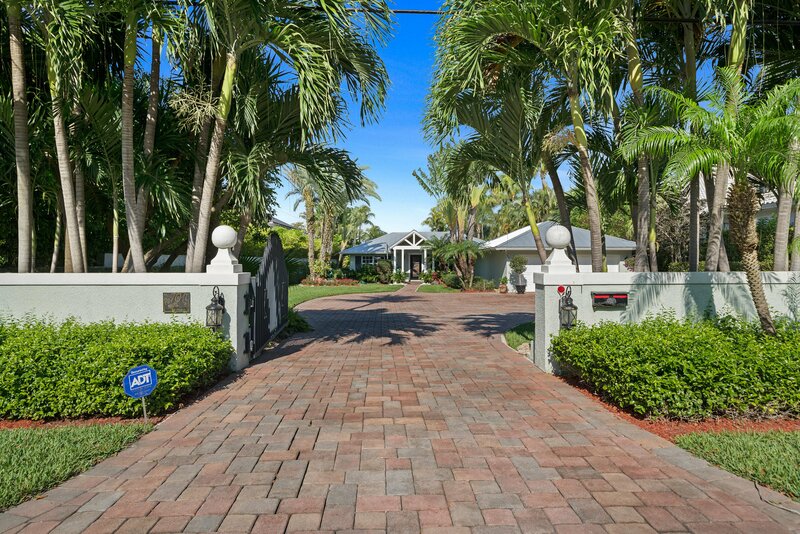 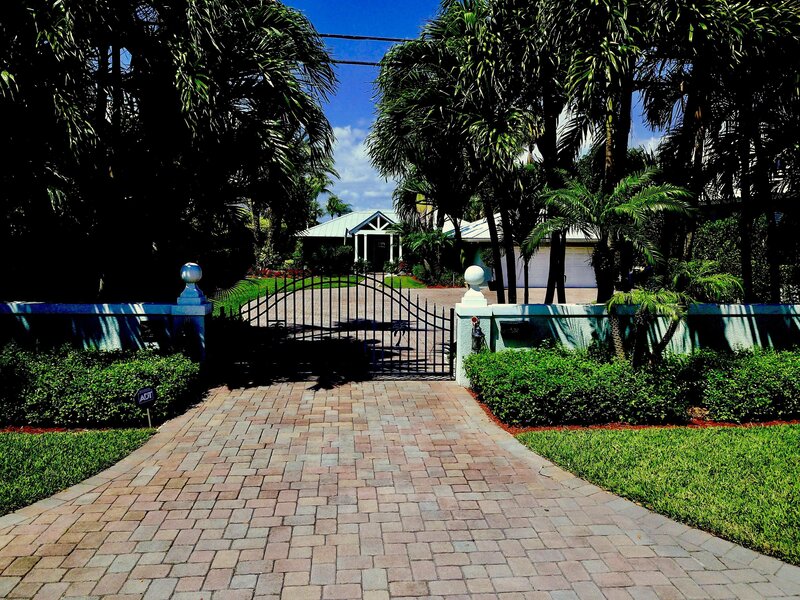 A gated entry to the residence leads to a custom driveway with room for 6 vehicles. 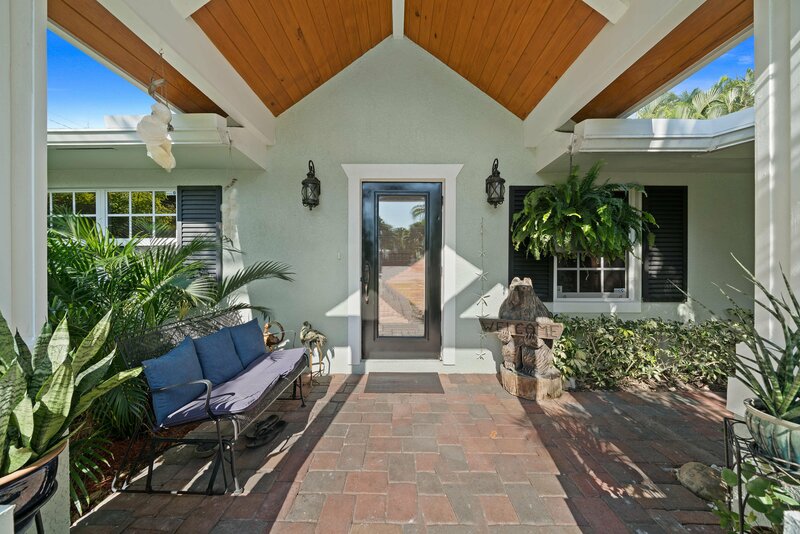 A portico entry invites you into the Main house's LR/DR areas, Family Room, 3 Bedrooms, 3 Baths Laundry Room. 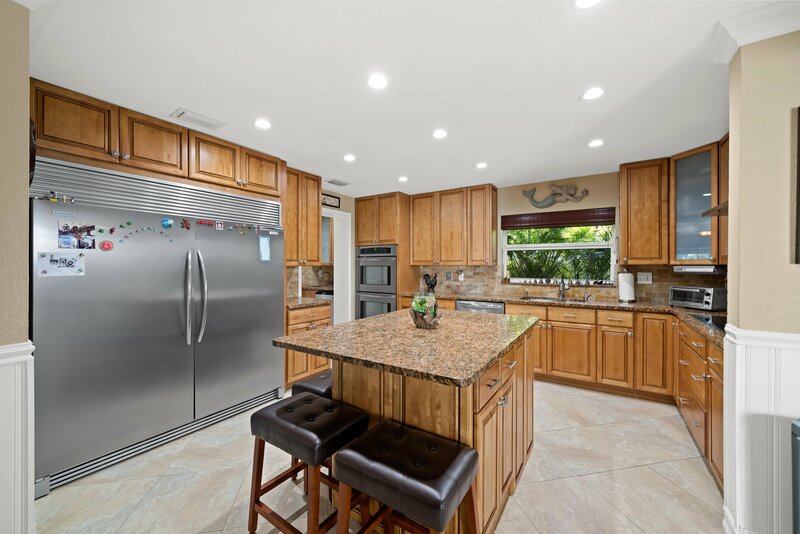 A custom chef's kitchen with prep island is appointed with stainless refrigerator and freezer, double ovens and granite counters. 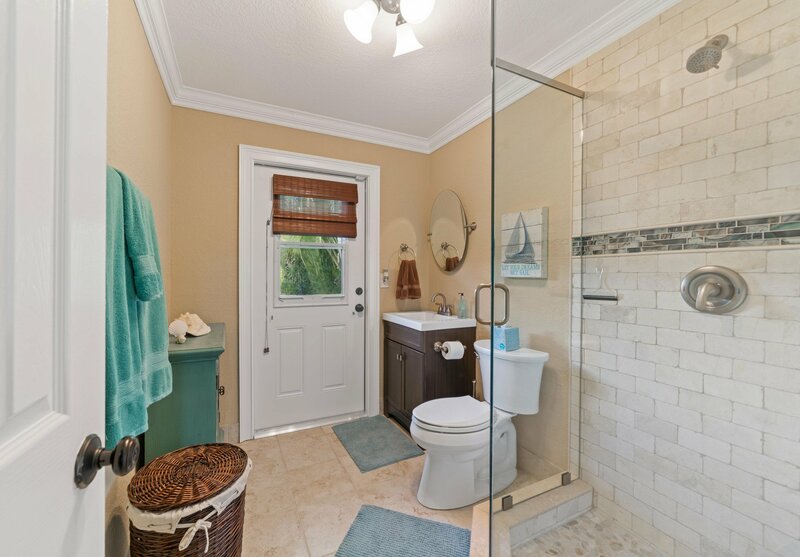 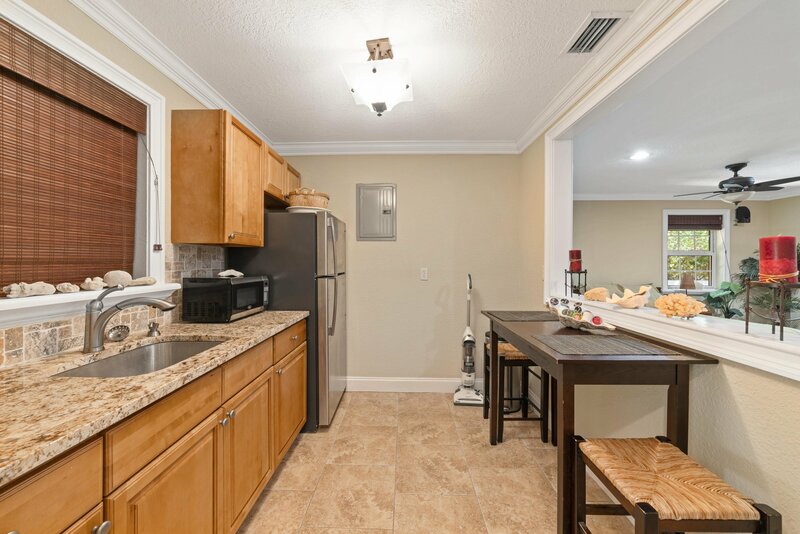 The semi-attached guest cottage is 732 sf with Bed/Bath/Kitchenette and walk-in closetsâ”perfect for in-law suite or a spacious, private accommodation for guests. 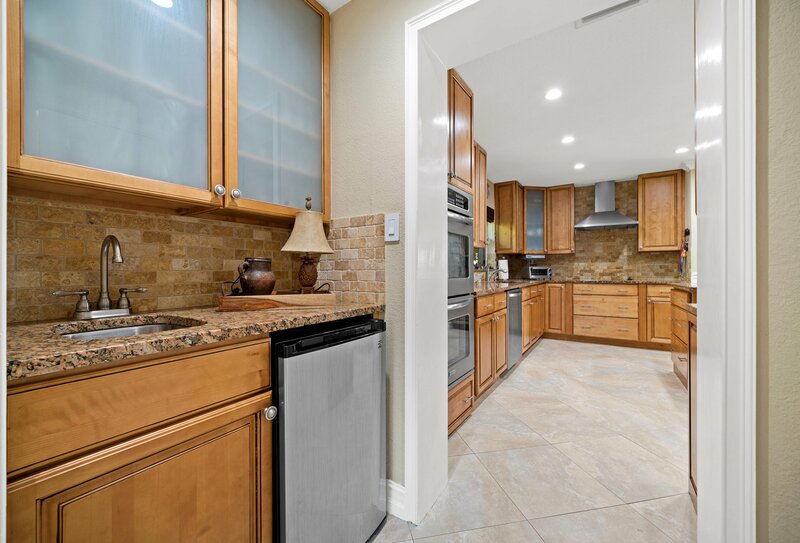 Ugraded finishes throughout both structures including a new, 2014 aluminum roof, upgraded electric, new A/C, and new baths. 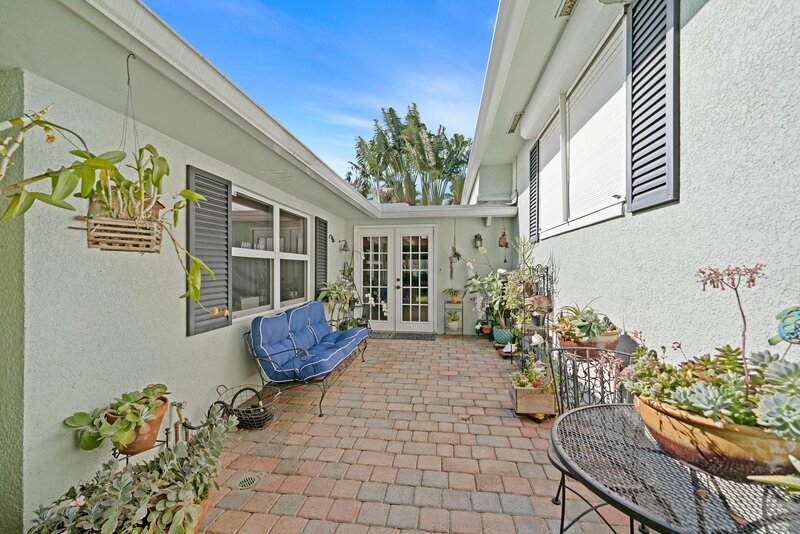 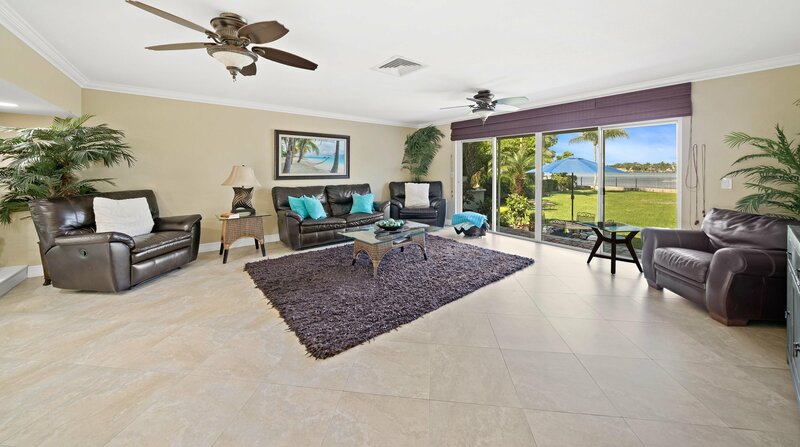 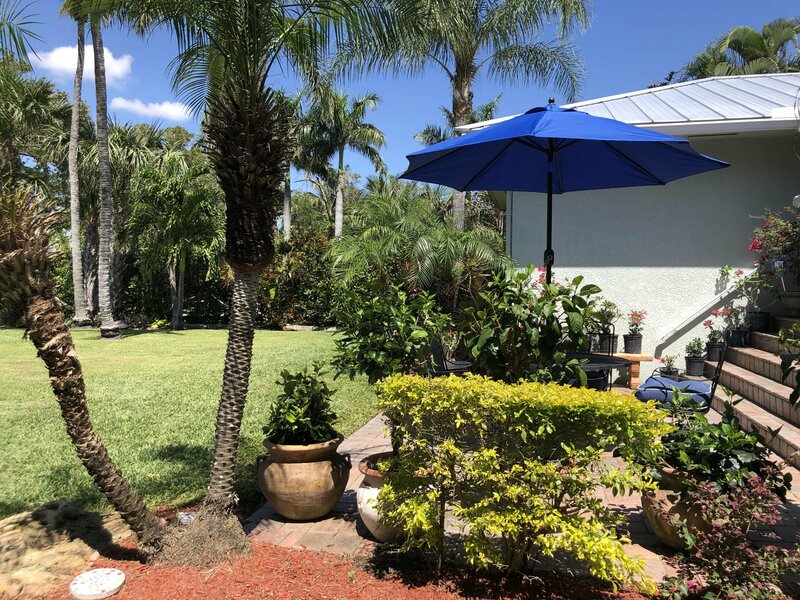 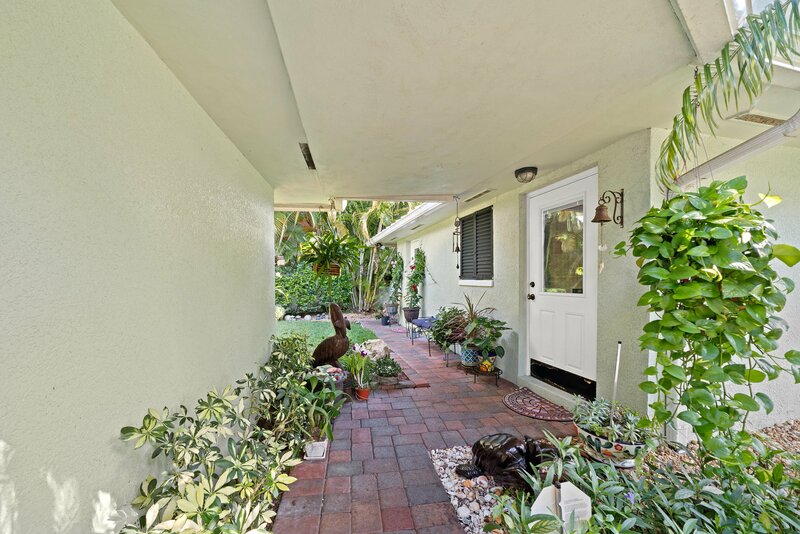 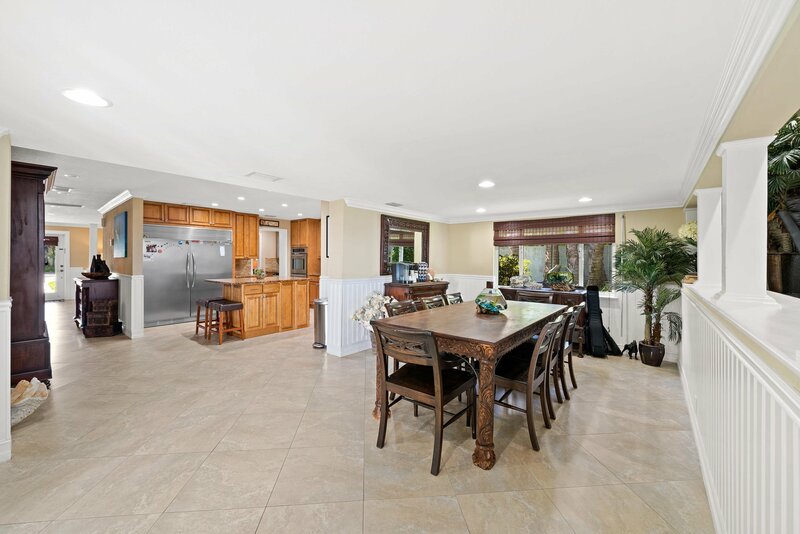 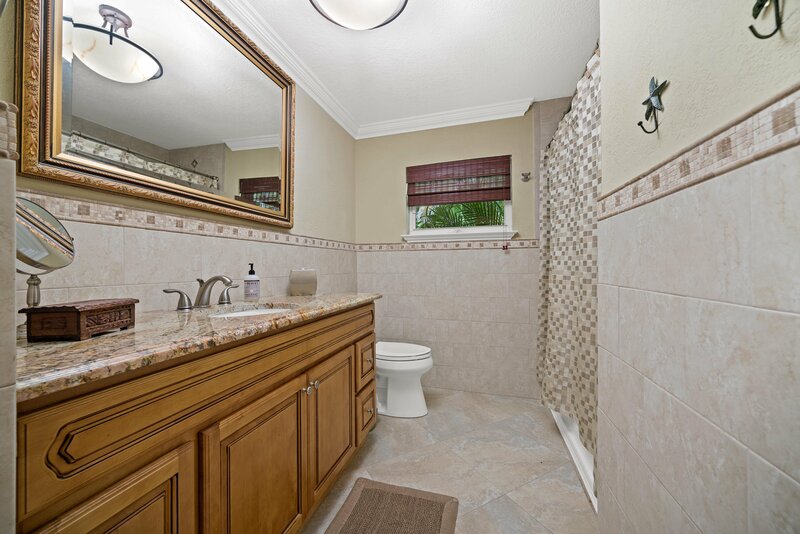 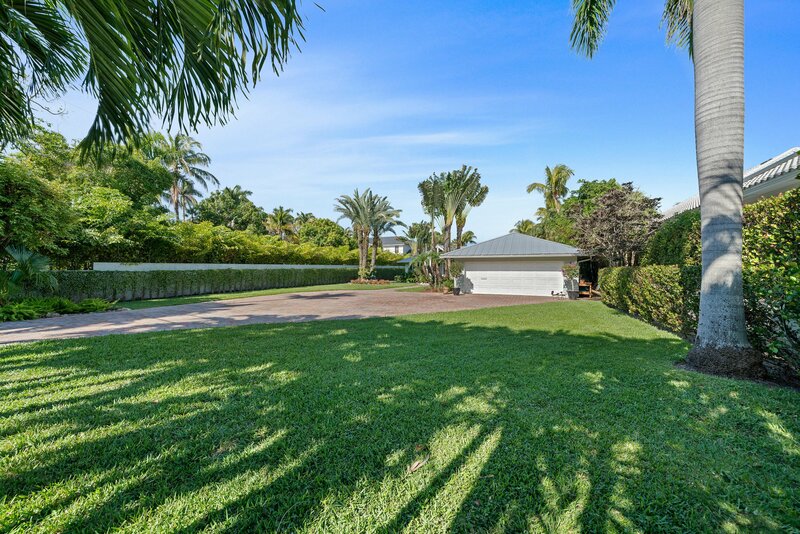 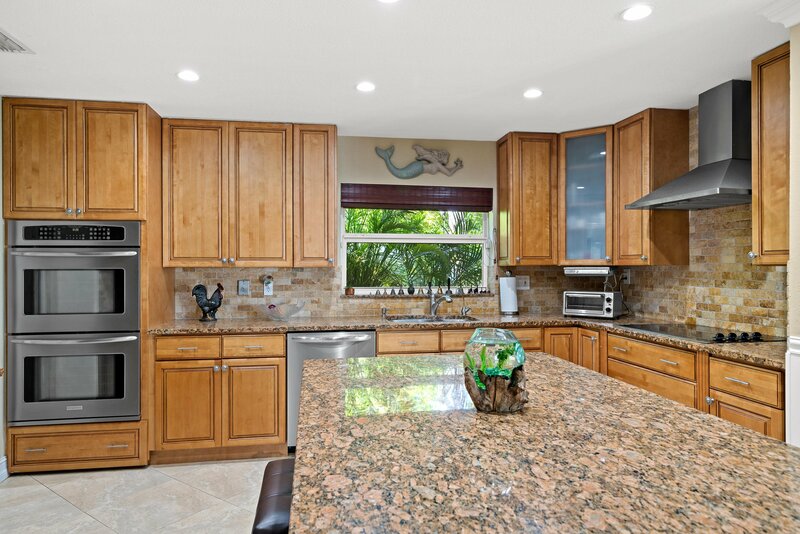 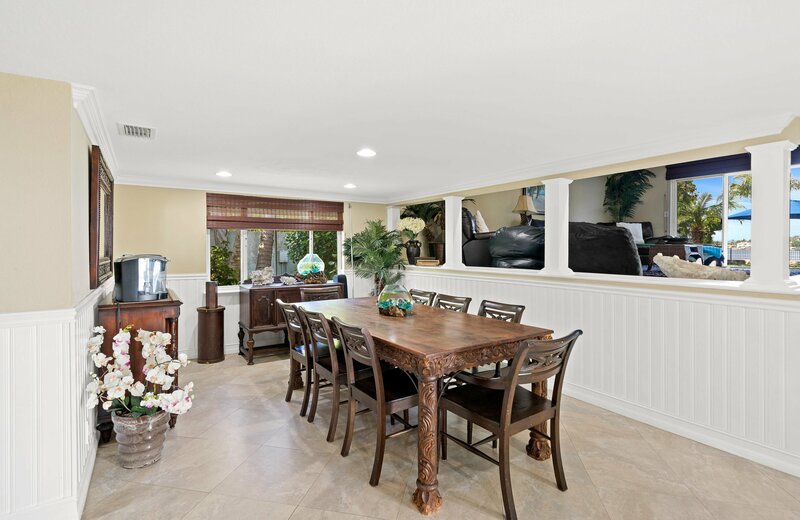 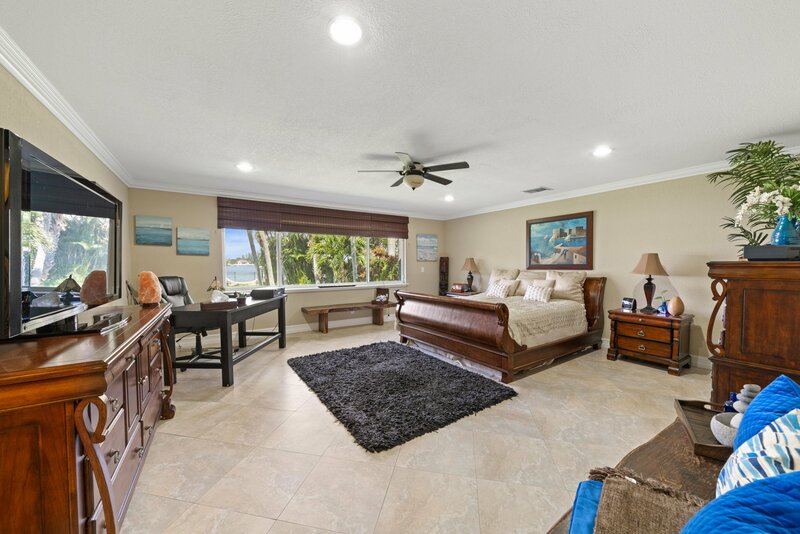 This tropically manicured property is sited on a 75 x 298 lot allowing for room to expand. 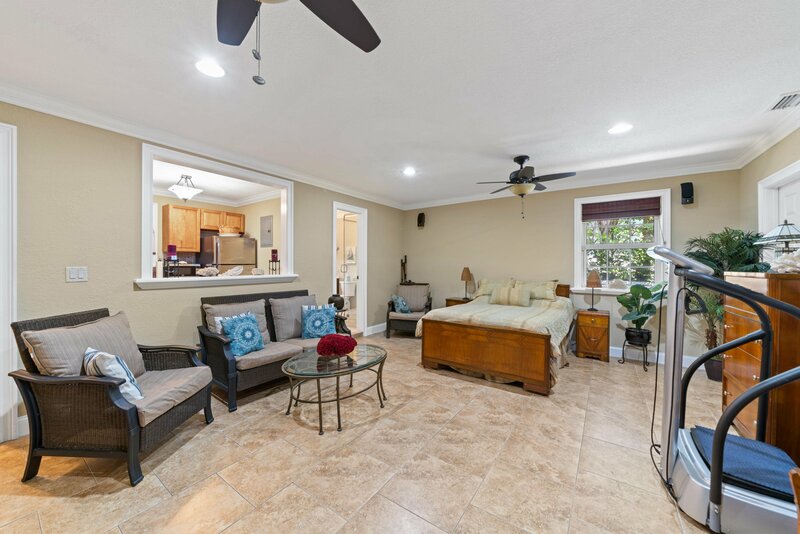 Add additional living space, additional garage space or a pool/gazebo to complete your dream homeâ”the possibilities are endless. 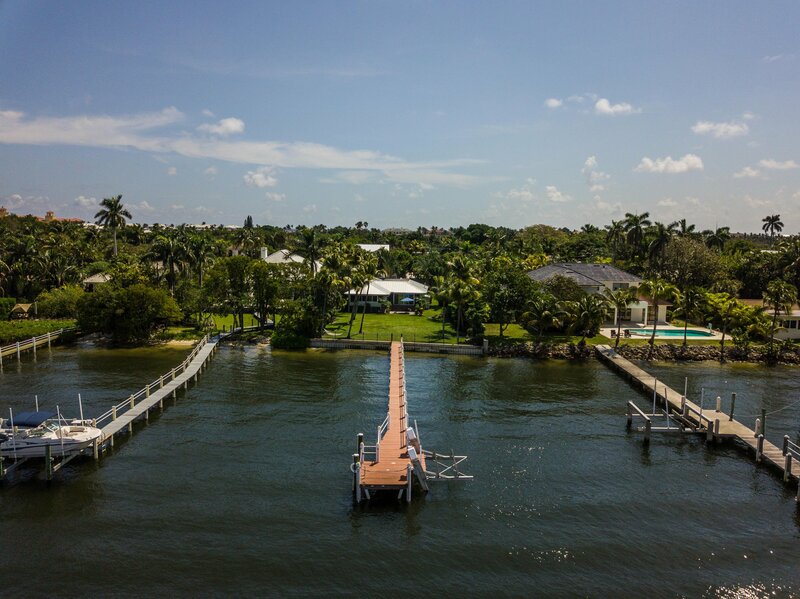 You will love living on Hypoluxo Island...walking distance to public parks, ocean beach, shops and dining. 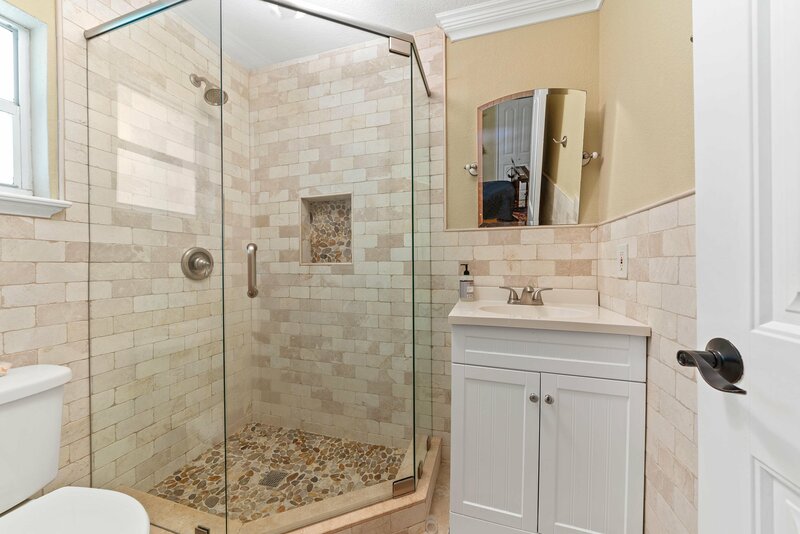 By Appointment.